In December 2015, 195 countries adopted the Paris Agreement under the United Nations Framework Convention on Climate Change. The agreement went into effect last November, and countries are now in the process of developing policies that will achieve their commitments, or Nationally-Determined Contributions (NDCs). President Trump has begun to roll back Obama-era policies that sought to reduce U.S. greenhouse gas emissions, but so far the United States remains a party to the agreement. 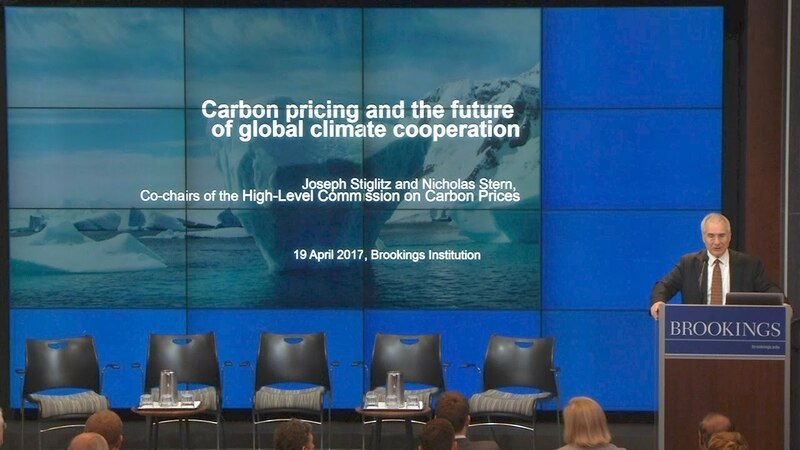 On April 19, the newly-launched Cross-Brookings Initiative on Energy and Climate hosted a panel discussion on the role of carbon pricing in the implementation of the Paris goals, with opening remarks from Lord Nicholas Stern of the London School of Economics and Professor Joseph Stiglitz of Columbia University, the co-chairs the High-Level Commission on Carbon Prices. 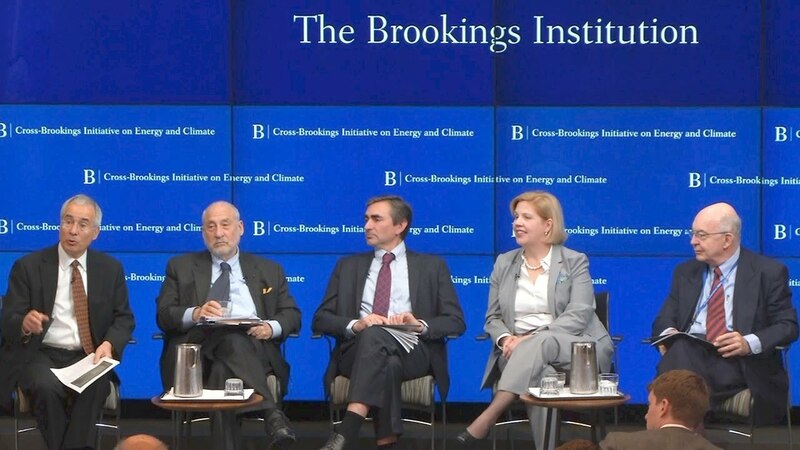 They shared their thoughts on carbon pricing and other policies to achieve the goals of the Paris Agreement, including the objective to hold “the increase in the global average temperature to well below 2 °C above pre-industrial levels and to pursue efforts to limit the temperature increase to 1.5 °C above pre-industrial levels.” After the discussion, Brookings Vice President Kemal Derviş moderated a panel discussion and took questions from the audience.